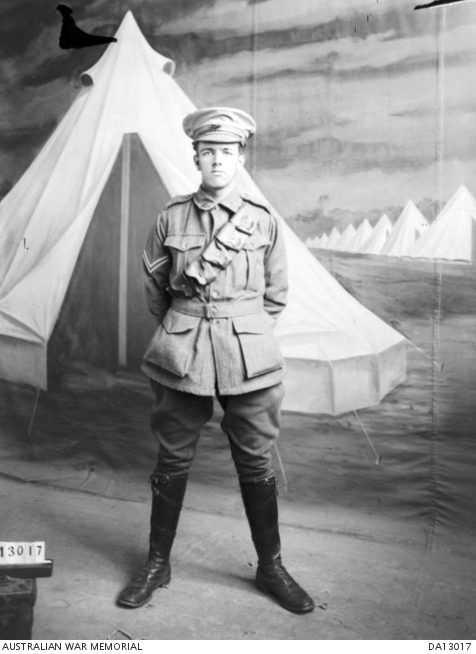 Studio portrait possibly of 4302 Lance Corporal (LCpl) Clyde Stewart Smith, 13th Battalion, of Balmain, NSW. LCpl Smith enlisted on 5 August 1915 and embarked aboard HMAT Aeneas on 20 December 1915. He returned to Australia on 19 October 1919.